Actor and dancer who had his breakthrough roles as a child actor in Grown Ups and Eagle Eye. 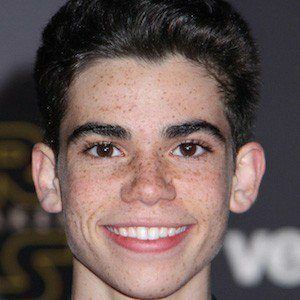 He also stars as Luke Ross in the popular Disney series Jessie and had roles in the Disney TV movies Descendants and Descendants 2. He made his acting debut in the film Mirrors in 2008 at the age of nine. He appeared in the Panic! at the Disco music video for the song "That Green Gentleman (Things Have Changed)" in one of his first acting roles. He rose through the ranks of the breakdancing world with the dance crew X-Mob. He grew up in Los Angeles with his younger sister Maya and his dog Cienna. His mother is Libby Boyce and his father is Victor Boyce. In 2016, he began dating his Descendants co-star Brenna D'Amico. He played Adam Sandler's son in Grown Ups in 2010.